Paul Bettany drops a hint about his 'Solo: A Star Wars Story' character at Rhode Island Comic Con 2017 – AiPT! An image of Paul Bettany on the "Solo" set that director Ron Howard shared on Twitter in September. Did Paul Bettany just drop a hint as to who he could be playing in “Solo: A Star Wars Story”? Movie studios typically save their big reveals for the major conventions, like Comic-Con International: San Diego and New York Comic Con. But could it be that attendees at Rhode Island Comic Con 2017 received a new clue as to who Paul Bettany will be playing in the upcoming young Han Solo flick Solo: A Star Wars Story? At the “Road to Marvel’s Infinity Wars” panel November 11, Bettany and Avengers: Infinity War co-star Sebastian Stan were fielding questions from the audience. Due to time restraints, the moderator asked that attendees only deliver yes-or-no questions in the final minutes. So, we were treated to one fan asking if Bettany could tell the audience his character’s name in Solo. 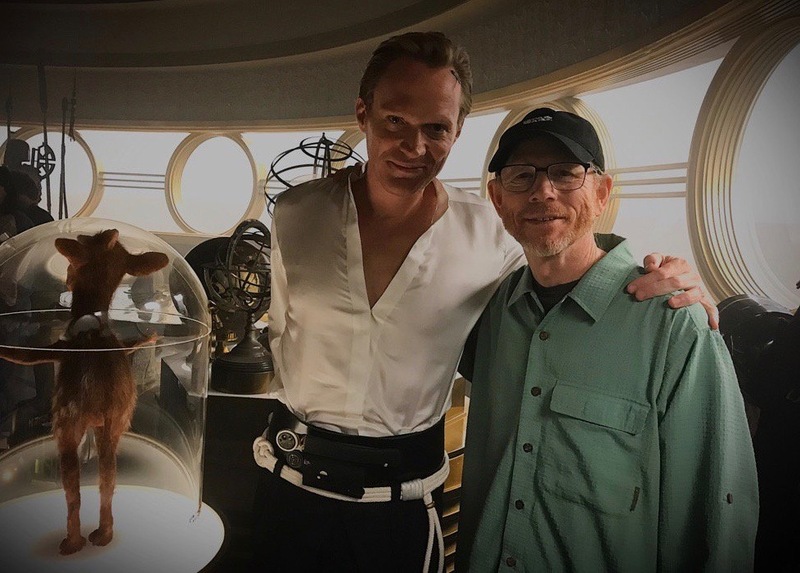 An image of Paul Bettany on the “Solo” set that director Ron Howard shared on Twitter in September.